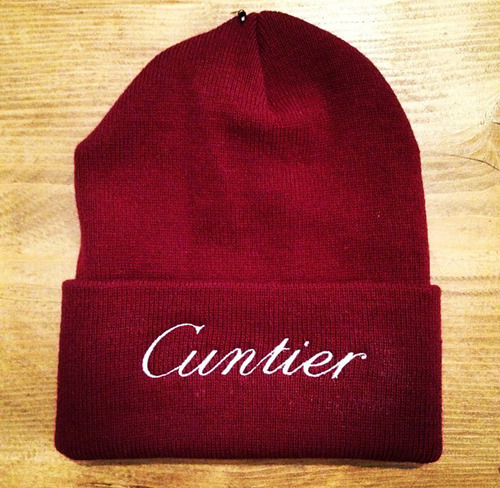 Who needs Cartier when you can be Cuntier? "It all started one day in July, he said, when he was talking to a friend about a recent visit to a Cartier store. 'She was having a watch fixed and they were giving her trouble, and she was like, "Ugh, they are being cunts," and I was like, "Oooh, they are Cuntier!"'" he told The Daily Beast.